Well....I finally did it. I completed 100.7 miles within 24 hours. Actually, due to my poor math skills, I completed it in 22 hours 27 minutes. I thought I was in the 23rd hour so I was actually running quite a bit those last couple of hours thinking I was going to be racing the clock. 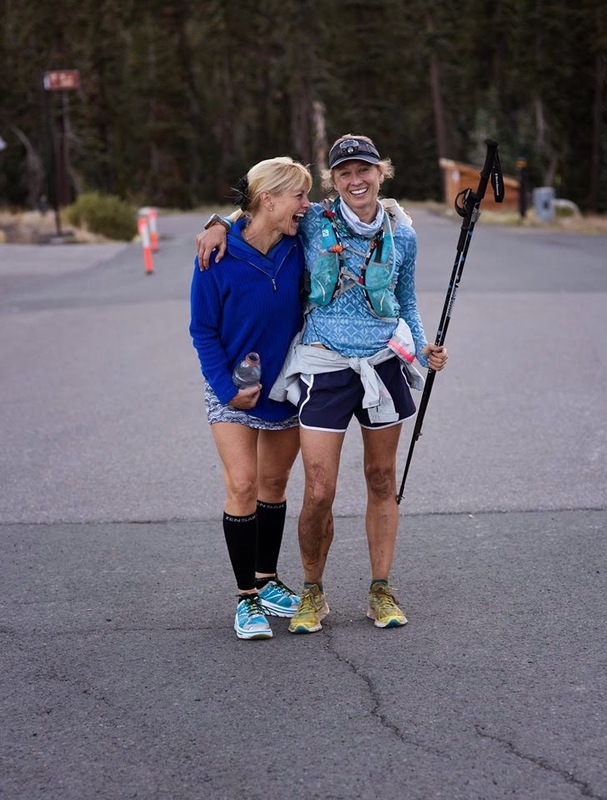 Seeing as I have not had time to blog in the last YEAR, I thought I should give a quick recap of the year and the race and then go into more specifics of the race in a separate post. 2014. What a year it has been thus far. To be honest, it has flown by not just because I am getting old seasoned, but also because I returned to the full-time work force in February. I am back in the wellness industry at Starmount Forest Country Club which is 3.5 miles from my house. 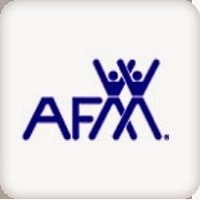 I have the privilege of imparting my passion for wellness to a great group of members. Besides loving my job, I have the most incredible view from my desk. Most who know me know I don't sit well, but if you have to sit to get paperwork done, a great view of the golf course helps! 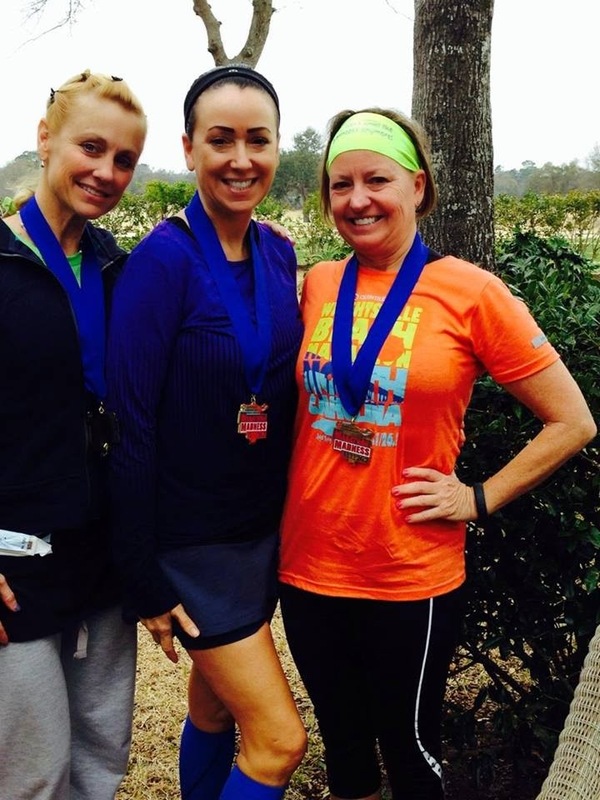 A couple of days before I started my job, I paced the Myrtle Beach Half Marathon. I LOVE pacing races. I get out of my own head and focus on helping my group achieve their goal. I paced the 1:45 group and I take my job seriously! I always forewarn my pace group that I will indeed talk the whole time. I also tell them I will sing, joke and get the crowd involved. I am enjoying some high success rates because they are relaxed and laughing. There is no better compliment than to have someone come to me after it's over telling/hugging me that I helped them achieve a personal best. If I could, I would pace every weekend. 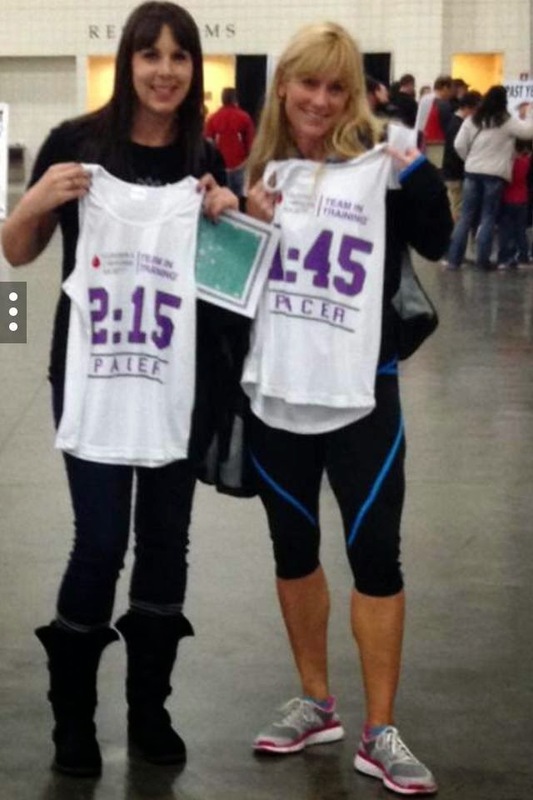 Here is one of the only photos I have from that day, my friend Melanie and I picking up our pacing shirts. 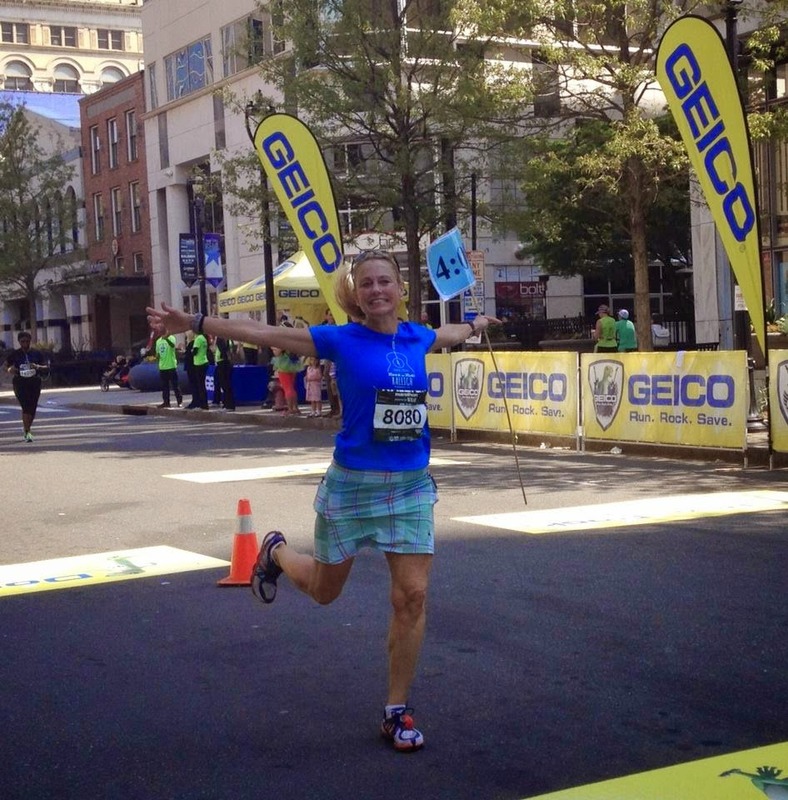 March brought me participating in the Wrightsville Beach Half Marathon. I was with awesome friends, but I was food poisoned the day before the race and didn't have anything in my system for over 24 hours. I ran the race because I signed up for the race. I pulled back every time I felt dizzy, and just enjoyed the run. This is a theme this year......I've been running h a p p y . I know I don't look very happy in this photo, but I had had zero food for over 28 hours and ran this race and somehow kept everything together. I was indeed happy! April brought another pacing job. This time it was the Raleigh Rock & Roll Marathon. I was entrusted with the 4 hour pace group....and as you can see by the picture I took my job seriously had an incredible time getting my group in on time. In fact, with the exception of only a few I had most of my group ahead of me. This day was hot, hot, hot. I was carrying 6 extra Gu's in my pocket and begged my group to stay hydrated. This was probably the hardest pacing job I ever encountered because of the humidity and the sun. Two people lost their lives in the half marathon this day, and my prayers still remain with these 2 families. Rock & Roll events are incredible because they are well organized and hearing the bands throughout the course make it even more fun! 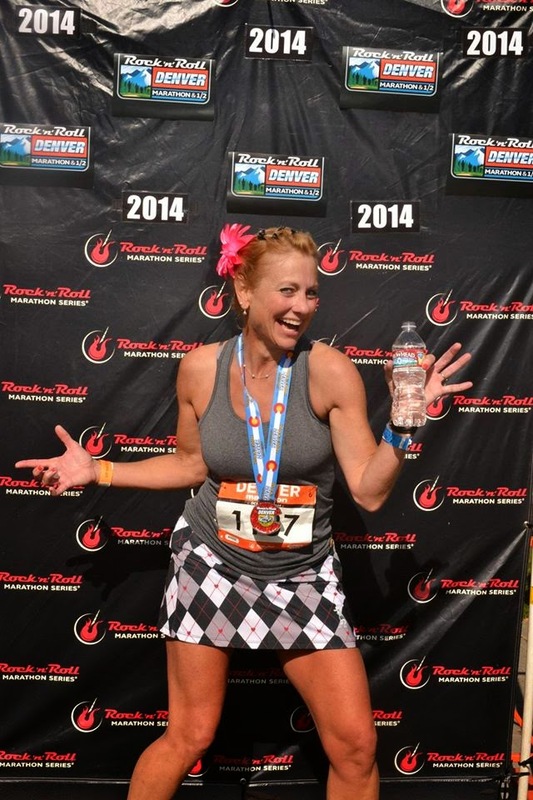 I ran a few other races, but by far my biggest race this year was the Denver Rock N Roll Marathon. My hubby and I flew out to Colorado on a Friday, explored downtown Denver that afternoon and spent the next day hiking up near Boulder. I knew I was going to have fun at Denver and not try to race it, so hiking for many hours in the mountains seemed normal to me. I fell in love with Colorado and hope to return one day soon. I encountered some altitude issues during the race on Sunday, but I ran happy. I ended up 17th woman overall but the most interesting note is that I was the first female NOT from Colorado on the results list. In my crazy world, I consider that a win! I look too fresh for just running a marathon, but my time was pretty (relatively) slow for me. Now we come to Crooked Road 24 Hour Ultra. This race is a true test of your will and determination. It gets dark by 5:15pm and doesn't get light again till almost 7am. That is a LONG time to be running with a headlamp. Crooked Road is set in a park near Rocky Mount, VA and is a certified .95 mile loop. Notice I said .95, not 9.5! May I just say I LOVE this loop. It gave me 106 times to say hello to the great volunteers and more opportunity to run into people. I love people! Especially during a 24 hour race. 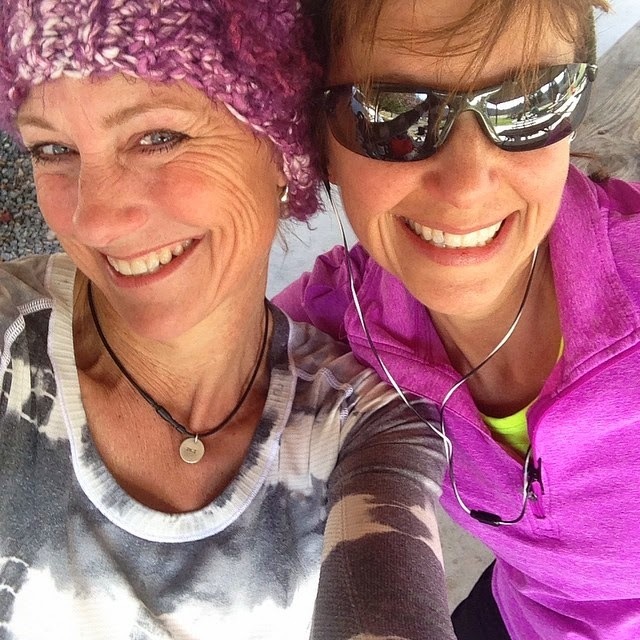 Here is a photo of my Greensboro Sole Sister, Dena, who was with me when I started running Crooked Road 4 years ago. If you haven't read any of my previous posts from Crooked, I invite you to because this year's experience was NOTHING like the previous years. I will explain that in more detail in an upcoming post. 1. I am thankful I have the most wonderful husband, family and friends who support, lift, and encourage me. More importantly, they accept me the way I am. 2. 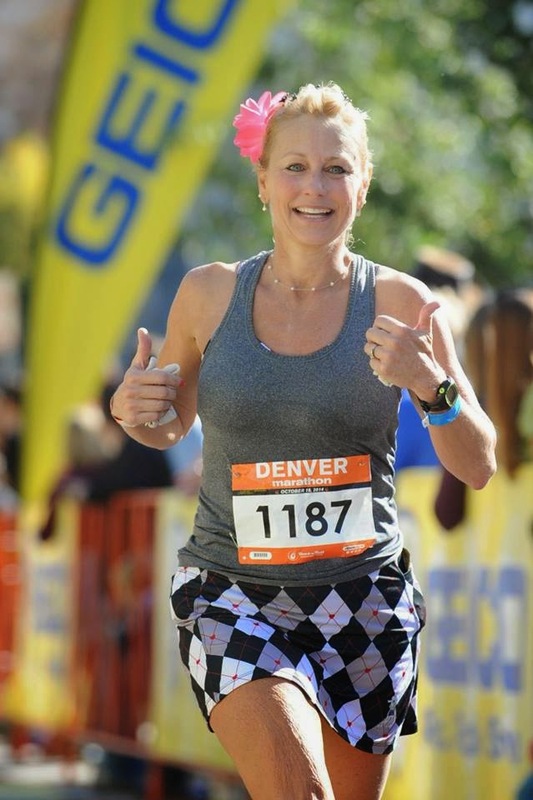 I am thankful I have remained a healthy runner thanks to cross training and actually listening to my body. 3. I am thankful I love running everything from the 800m to 100 miles. 4. I am thankful that I surround myself with women who empower me and not try to tear me down. 6. I am thankful I have met so many incredible people through a sport I love.